The Bailiwick of Jersey, or just Jersey, is one of the three Crown dependency Islands near the coast of Normandy, France. The other two being: the Bailiwick of Guersney and the Isle of Man. Located off the coast of Great Britain, they are self-governing possessions of the Crown and are not part of the United Kingdom or the British Overseas Territories. Regardless of that, the United Kingdom is constitutionally responsible for their defense. The strategic position of Jersey, between the northern coast of France and the southern coast of England, influenced its history over a thousand years. 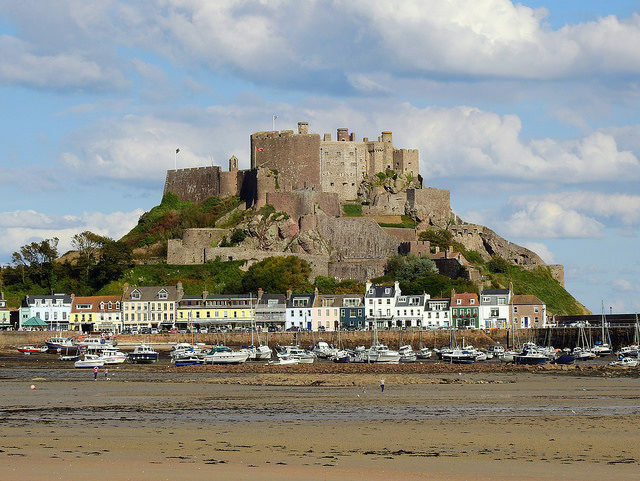 Many of the events that shaped Jersey’s history have been witnessed by Mont Orgueil Castle (sometimes reffered to as Mount Pride). It is a heritage site over the fishing port of Gorey, standing strong for more than 800 years. 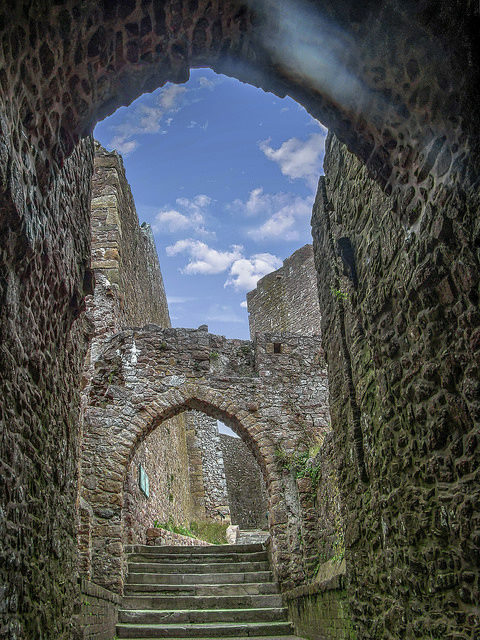 Sometimes called Gorey Castle, King’s Castle or the Old Castle, it is one of the finest examples of a medieval fortress that still stand tall nowadays. Some researches show that the site had been used as a defensive point in the Iron Age and maybe even earlier than that, as far back as the Neolithic period. However, the construction of the castle was undertaken in 1204 and it was mentioned for the first time in 1212. The castle was the primary defense of Jersey and it was extended and improved subsequently troughtout history. Whenever there was a siege or an invasion, the islanders would take refuge there. 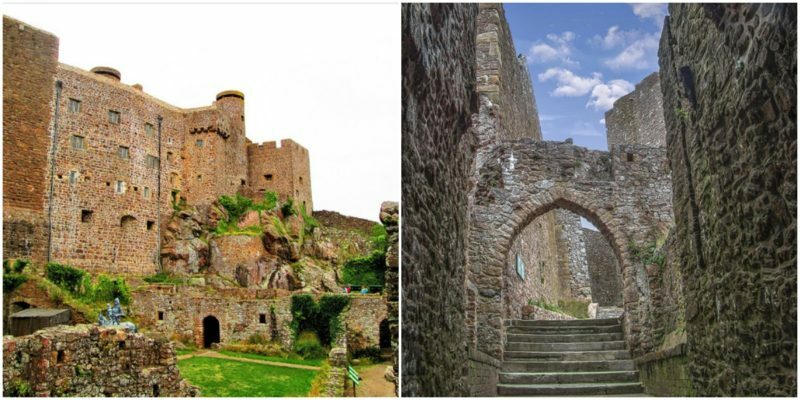 It was home of the administration and the government of Jersey up until 1600.The construction of a new castle, Elizabeth Castle, had begun at that time and the plan was to use the stone of Mont Orgueil for the new fortifications. 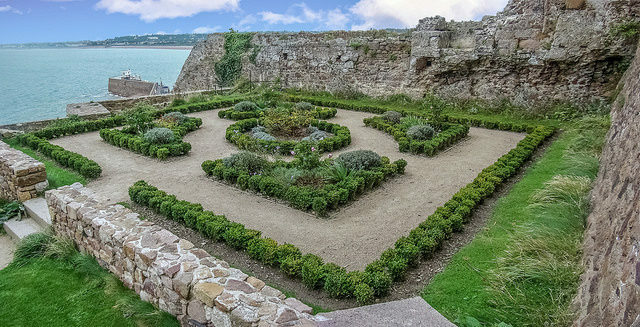 Sir Walter Raleigh, who was governor of Jersey in 1600, decided not to demolish the old castle and to keep it as a second line of defense to the Elizabeth Castle. Later on, in 1691 a report for the States of Jersey declared the state of disrepair of the castle and after two years its condition was very bad, so eventually it was abandoned and disused. From 1730 to 1734 repairs were undertaken and the castle was used as a garrison accommodation. In 1800s it was turned into headquarters for the secret service organization in Brittany and Normandy, ran by Admiral Philippe d’Auvergne. In 1846 Queen Victoria and Prince Albert visited Mont Orgueil and in 1921 George V was welcomed as well. Until the middle of the 19th century the castle was opened only on Easter Monday to gather all the people from the island for the big holyday. The castle was handed over to the people of Jersey on 28 June 1907 by the British government. By this time, it was in a ruinous state and was managed as an excuse for a museum until 1929. 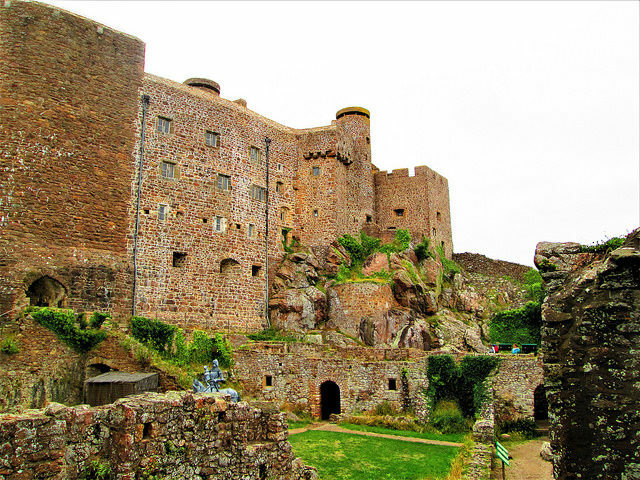 At the time of the German occupation, from 1940 to 1945, Mont Orgueil was one more a garrison. The German army added modern fortifications that blended in perfectly with the original structure. 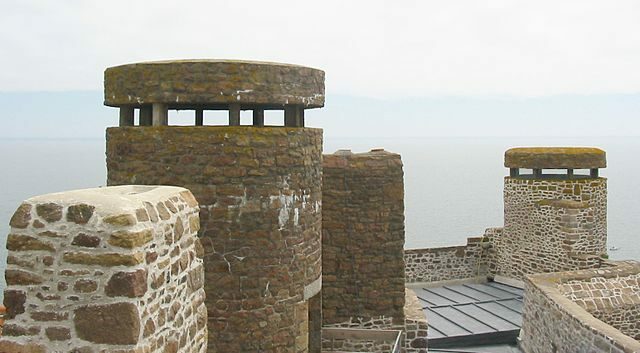 Since then the castle is a public monument and from 1994 onward the site has been managed by the Jersey Heritage Trust. After many controversies related to the Trust’s plans, the castle was reopened to the public on 2 April 2006. Restoration work have opened up some of the unreachable areas of Mont Orgueil. Today, the visitors can enjoy breathtaking views of the French coast going through the networks of staircases, towers and hidden chambers. Life-size wooden guards stand tall on the fortress walls and history reinacments are hosted from time to time to reviving the glorious past. The castle is often a home for art exhibitions and art gatherings of all sorts.